Since 2005, 8,500 apprentice hunting licenses have been bought in Minnesota as a result of its passage of Families Afield legislation. The National Shooting Sports Foundation (NSSF), a Families Afield partner of the U.S. Sportsmen’s Alliance (USSA), is aiming to build upon that success. 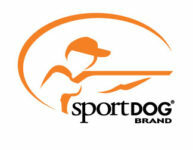 In an NSSF press release, the organization announced it will help fund a marketing effort in Minnesota. The effort will encourage youth with apprentice licenses to take “take the next step.” The “next step” includes completion of a hunter education course that is required in order to purchase a regular hunting license. The funding provided by NSSF is part of the $500,000 “Models of Success” pilot program. It is intended to raise awareness of the “best-of-the-best” state recruitment and retention initiatives. NSSF is also looking at other state programs in Arizona, Nebraska and Oregon. Begun in 2004, as a joint effort of the USSA, NSSF and the National Wild Turkey Federation, Families Afield has experienced many successes. Chief among these is getting at least 418,000 new hunters get into the field. This was accomplished by enacting legislative and regulatory changes in 30 states lowering barriers for new hunters looking to get outside. The Minnesota Families Afield effort was signed into law in 2005. It allows hunters younger than 12 to hunt. However, they must be accompanied by an adult certified in hunter education. “Models of Success” was developed by the Task Force 20-20 committee which was formed at the NSSF Shooting Sports Summit in 2008. It is made up of elements from the firearms, state agency and conservation communities. The USSA is an active participant in the task force.